The Preserve at Osprey Lake offers Studio, 1 & 2 bedroom apartments. Please select a unit that you like, fill out your name, number, and email, and you will be redirected to our quick and convenient online application. Not seeing what you're looking for? Availability changes every day, if you tell us what your needs are we’ll call you when availability changes. All room dimensions are approximate and may vary by apartment. Your ideal lifestyle is waiting for you at The Preserve at Osprey Lake. 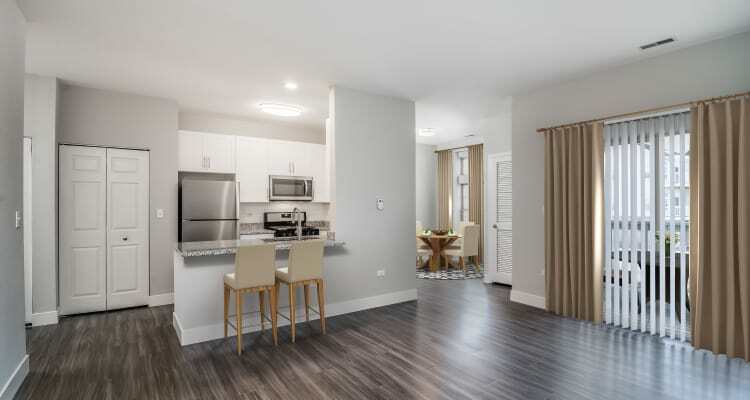 Whether you are a busy professional in need of a comfortable studio where you can unwind, empty nesters in search of a low-maintenance 2 bedroom apartment home, or anyone in between, you can find the perfect living space here. Complete with clean design lines, impressive features, and elegant finishes, better everyday living comes standard at The Preserve at Osprey Lake. The choice is yours. At The Preserve at Osprey Lake, we offer Studio, 1 & 2 bedroom apartments for rent in Gurnee, IL. Available in 21 unique floor plans ranging from 500 to 1,154 sq ft, you can find the right home with the right features at the right price. 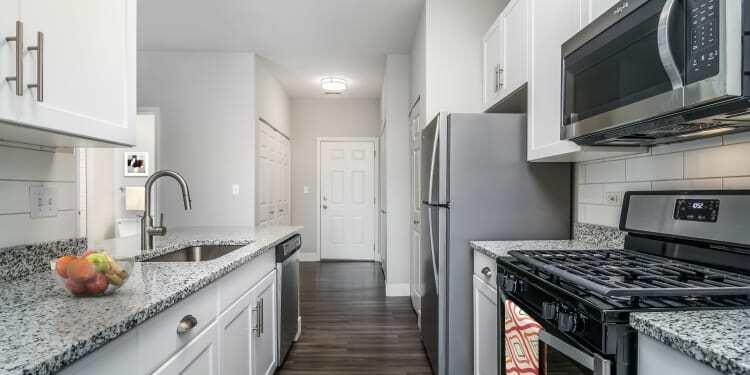 Each home offers a spacious kitchen where you can whip up a chef-inspired dinner. With a convenient breakfast bar overlooking the living area, you can also entertain guests while you prepare a home-cooked meal. Our homes also feature soaring nine-foot ceilings and large windows, creating a bright atmosphere in the open-concept layout. Your new home even offers a peaceful and private outdoor balcony or patio where you can spend lazy weekend mornings over a cup of coffee. Welcome to your ideal space. Call The Preserve at Osprey Lake today to inquire about our phenomenal floor plans and schedule your personalized tour.